Yesterday, the world of football has experienced something that will forever be ingrained in the memories of many, not just the distraught Brazilians. I will not sit here and lie about the fact that I did not feel total euphoria, because I did! For someone who religiously follows football their entire life, yesterday was a day of epic historical proportions. 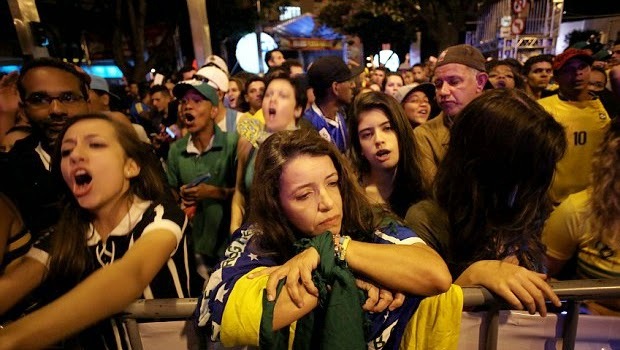 But what ensued the 7-1 Brazilian thrashing at the hands (or feet perhaps) of the German national team, was a barrage of coaches, fans, players and media personnel trying to come up with an answer to what had just happened. Perhaps it's natural to try and analyze the insane outcome, but some of the things I had heard or saw in the past 14 hours or so (at least 5 of which I spent sleeping) are absolutely outrages. Let's start with the really disturbing stuff, violence. Your team had just suffered a historic loss. What do you do? 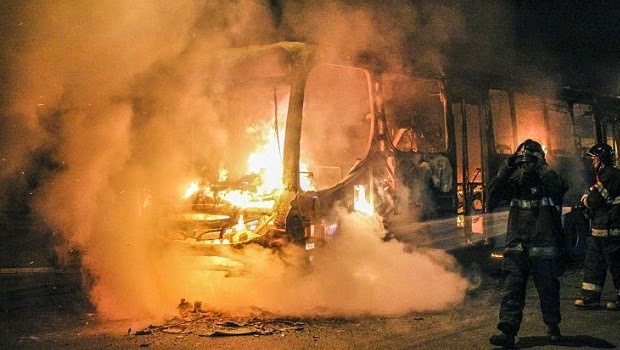 Light a bus on fire according to the locals in Brazil. Seriously? What exactly have you achieved by doing so? 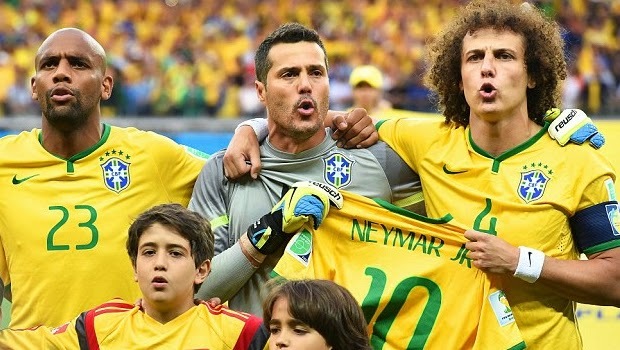 What will change about the Brazilian national squad as a result of this? I understand and respect people who revolt when change is needed and I can even understand opposite fans fighting, but shooting up innocent bystanders at the Copacabana in Rio is an absolute disgrace. There were even instances reported where Brazilian fans were fighting with other Brazilian fans, which is shameful and absurd. There were Brazilians burning their own national flag, a disrespectful gesture that in modern times seen mostly with religious extremists doing the same to the flags of their "enemies". On a number of occasions I have heard this exact argument for Brazil's awful performance. Neymar's absence from this match had very little to do with the loss. His inclusion would not have changed the result one bit, because Neymar would have been able to do absolutely nothing when the Germans attacked the Brazilian box. In fact, Neymar was a "game-changer" on just two occasions in this year's World Cup, and that was in the group stages against a worse than usual Croatia side and the horrible Cameroonians. So to say that he would have made the difference in a 7-1 loss is possibly the most uneducated football argument I have personally heard in many years. There were a number of things that Scolari said or did that just pissed me right off as well. Like hiding in the dugout after Germany's second goal. Or trying to get Hulk's attention after the fourth, but giving up after the second attempt. 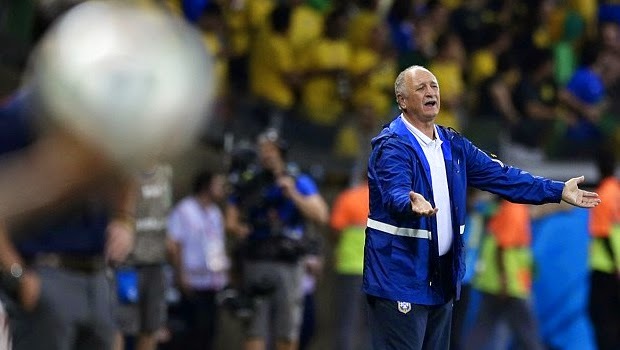 When asked whether Brazil's dreadful performance was due to the squad playing on emotions of Neymar's absence Scolari's denied the possibility. Well guess what, the media had every right to ask that question, because instead of concentrating on the task ahead the players were holding Neymar's jersey during the anthems. Sure it was a nice gesture, but when you are facing an opposition the likes of Germany in an all important semi-final match, dwelling on a young player who will most likely play another two (if not three) World Cup tournaments, is a distracting and an unnecessary thing to do. "It should not have ended like this"
The only argument many fans could even muster after the humiliating loss yesterday was "this shouldn't have happened", "or it shouldn't have ended like this". Guess what, it should have. The Brazilian squad was sub-par all throughout the tournament and did not impress in any of their matches. Statistically, they were also the roughest and in general were playing a brand of football never seen before from the boys in the canary-yellow shirts. Aside from some moments in their match against Colombia, Brazil looked slow and their creativity level was at an all-time low, playing more of a Swiss style of football rather than the one fans around the world are used to from the "Selecao". So when you achieve a semi-final spot in this fashion and are facing by far the toughest opposition you have faced for a long time, the result should be just like the one we all saw on Tuesday.